Foreclosure Numbers and Housing Price Declines Overblown? A study recently conducted by University of Virginia professor William Lucy and graduate student Jeff Herlitz analyzed foreclosures in all 50 states, 35 metropolitan areas and 236 counties.Their analysis shows that most foreclosures are concentrated in just 4 states, California, Florida, Nevada and Arizona, along with a modest number of metropolitan counties in other states. They also determined that 87% of national declines in housing value occurred in those same 4 states, with California accounting for the lion's share of the losses. There's something to be said for living in the Midwest where the real estate bubble never got much traction; we had less to lose. Californians were particularly susceptible to foreclosure problems because they were more in hock on their homes. The median value of owner-occupied housing in 2007 was 8.3 times the median family income, while the 2007 national average was on 3.2 times higher than median family income. In fact, in the Los Angeles metropolitan area, more than 20% of mortgage holders were paying 50%+ of their income in housing-related costs. Ohio keeps looking better and better. According to Lucy and Herlitz, assuming housing values decline to 2000 levels, potential losses from 2008 foreclosures in the U.S. would be less than 1/3 of the $350 billion provided by the federal government to banks and insurance companies to cope with losses in mortgage-backed securities. They further state that damage to the balance sheets of large banks and AIG was primarily caused by borrowing funds on a short-term basis to by long-range derivatives and from selling credit default swaps insuring derivatives backed by mortgage payments, not from losses on foreclosed residential mortgages which played a much smaller role in this melodrama. Simply put, in a gross lack of foresight, the financial instruments created by AIG and the large banks did not have any mechanism in place for dealing with the potential bursting of the housing bubble; i.e., there was no method to separate foreclosed properties from some forms of mortgage-backed securities. The bottom line is that the findings of Lucy and Herlitz, while showing specific geographic locations experienced substantial declines, do not support the claim that nationwide housing values have tanked. 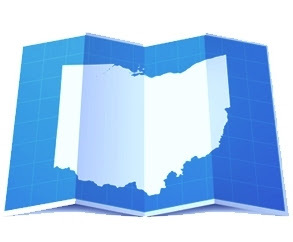 While the pain many are suffering in the real estate field is real, the likelihood that some regions, such as Ohio, may be able to bounce back more easily than other regions, provides some hope for the future. For more information on the study conducted by William Lucy and Jeff Herlitz, click here.